Yes! It’s that time of year when you get to ignore sportsball and watch mammals battle mammals! And maybe even learn some sciency mammal things along the way. If you’ve never played before, scroll to the bottom of this post for instructions. 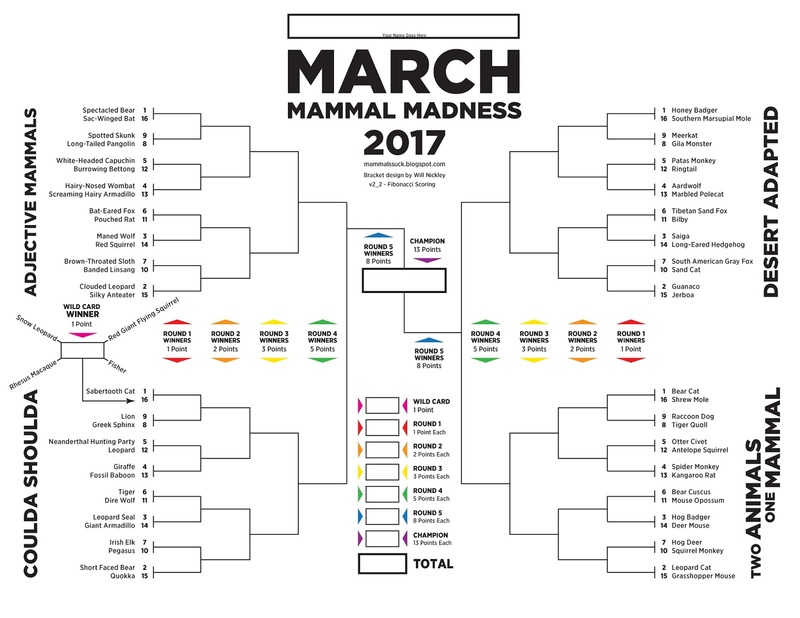 All you need is this year’s bracket and the hashtag #2017MMM to follow the games live on Twitter. Remember, this is science outreach disguised as the most exciting game on the internet! There will be organizations, scientists, teachers, and others tweeting facts, alt-facts, and fun commentary during and between rounds. There have been some unusual additions to this year’s bracket. One alt-mammal (What? Gila monster? ); a few #fakenews mammals (Pegasus vs Sphinx anyone? ); and, for the first time ever, a hominid — Neanderthals! Now, I am embarrassed to admit, I’m late with this post. The wildcard bout happened on Monday. So go ahead and fill in your bracket and then watch this stunning footage of the wildcard battle, accurately recreated on film for the first time ever! The battles resume tonight with Round 1 — the ADJECTIVE MAMMALS! All times are PM Eastern Time Zone. If this is your first year playing, check out info from 2016, 2015, 2014, 2013; the Wikipedia page (thanks Human Person & Brendan McDermott! ); and these examples of the amazing radio and print media coverage from previous years. If you just want the clean version of the live battles (without the sometimes inappropriate hilarity that normally ensues) follow @2017MMMletsgo. If Twitter isn’t your thing, you can see recaps of the events (posted several hours later) on Facebook. 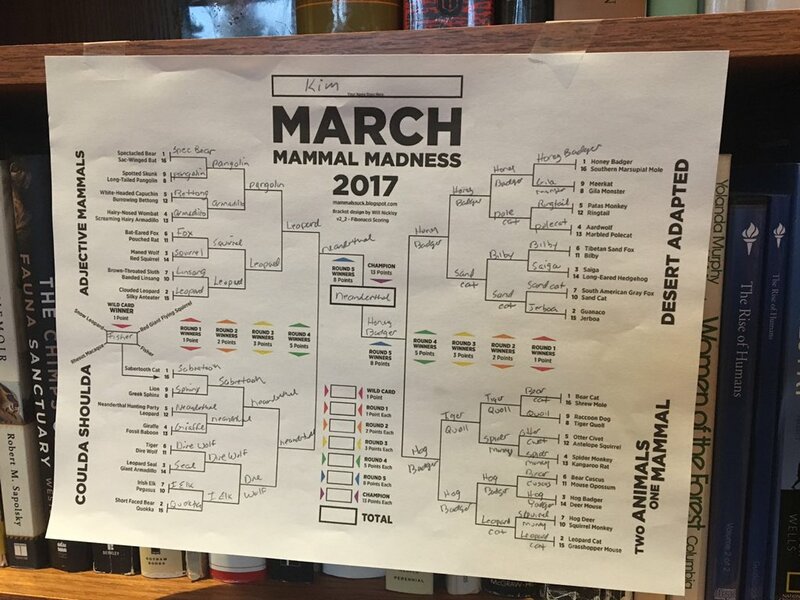 So, who’s your pick for the 2017 Mammal Champion? NextGood news for Ontario snappers!